Investcorp to Acquire Randall-Reilly, a Leading Media and Information Company Focused on Trucking and Construction Markets - Berkery, Noyes & Co., LLC. NEW YORK, January, 29 2008 — Investcorp, a leading global provider and manager of alternative investment products, today announced that it has agreed to acquire Randall-Reilly Publishing Company, LLC, the premier media and information company focused on the trucking and construction markets in the United States, in conjunction with Randall-Reilly President and Chief Executive Officer, Mike Reilly, and other members of management. 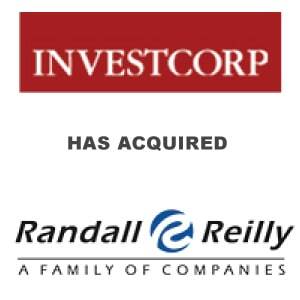 Investcorp is acquiring Alabama-based Randall-Reilly from Wachovia Capital Partners and members of management. Terms of the transaction, which is expected to close in the first calendar quarter, were not disclosed. In addition to the equity capital being invested by Investcorp, as well as rollover equity from Randall-Reilly management, the transaction will be financed with a committed debt financing package being led by GE Commercial Finance – Media, Communications & Entertainment as administrative agent and GE Capital Markets and CIT Capital Securities as co-lead arrangers. Kathleen Thomas of Berkery Noyes acted as financial advisor to Investcorp. Founded in 1934, Randall-Reilly Publishing is the premier U.S. media and information company focused on the trucking, construction and industrial markets. The company’s trucking division serves the fleet, owner-operator, recruitment, truck stop, pre-owned truck and trailer, dealer and heavy-duty aftermarket segments. Randall-Reilly’s construction division covers the highway and heavy construction, landscaping and used equipment markets. The company also publishes a magazine focused on the woodworking industry. Randall-Reilly’s Equipment Data Associates business is an industry-leading collector and aggregator of equipment purchase and financing data, which it offers to its customers in industrial equipment end markets for sales lead generation and market intelligence. Randall-Reilly has offices in Tuscaloosa, Alabama; Atlanta, Georgia; Chicago, Illinois; Charlotte, North Carolina; and New Berlin, Wisconsin. Further information on the company is available at www.randall-reilly.com. Founded in 1982, Investcorp is a leading provider and manager of alternative investment products with more than $13 billion in assets under management as of June 30, 2007. The firm, which has offices in New York, London and Bahrain and is publicly traded on the London Stock Exchange (IVC) and Bahrain Stock Exchange (INVCORP), has five lines of business: private equity, hedge funds, real estate, technology investment and Gulf growth capital. Investcorp’s current private equity investments include: Greatwide, a leading U.S. logistics provider focused on ground transportation and related service offerings; FleetPride, the largest independent distributor of aftermarket heavy duty truck and trailer parts in the U.S.; American Tire Distributors, a leading national distributor of tires to the replacement tire market in the U.S.; SourceMedia, a leading provider of information products and solutions in the U.S.; and, Welcome Break, the second largest operator of motorway service areas in the UK. Past private equity investments by Investcorp include: Tiffany & Co., Gucci, Prime Equipment, Carter’s, Simmons, Leica, Jostens and APCOA. Further information on the firm is available at www.investcorp.com.